The science of Yoga. In this basic literature of Yoga, the Yoga-Sutras of Patanjali stand out as the most authoritative and useful book on yoga. In its 196 Sutras the author has condensed the essential philosophy and technique of Yoga in a manner which is a marvel of condensed and systematic exposition. 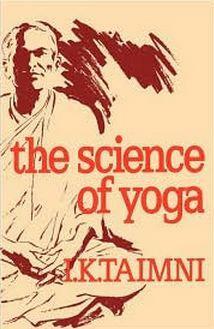 Author Dr. Taimni is professor of chemistry and physics of he highlights some of the more demanding but important concepts in the sutras with examples from modern scientific research. The science of Yoga highlights some of the more demanding but important concepts in the sutras with examples from modern scientific research.